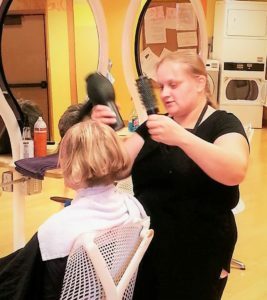 Svetlana is one of our Cosmetology students in Green Bay. Read about her future career plans, her high regard for the ABP instructors, and other experiences she’s had at our Green Bay school! At this school, you get help when you need help it whenever you don’t understand something. We get lots of hands-on training. The best thing is at ABP is when I struggle or don’t understand something, my great teachers Pru and Joan are there to calm me down and show me the professional way to cut, wrap a perm, do nails or give skin care services. Sometimes we even get a bit of life advice. Their communication skills are strong and they are very understanding. They are the best teachers I have ever had. I am happy here! This means a lot to me, and I can’t wait to become a professional. My future plans are to continue learning and making people happy by giving high-quality service. Posted in Beauty School, Hair and Makeup, Nails, Testimonials.